Yeah, I thought you might. 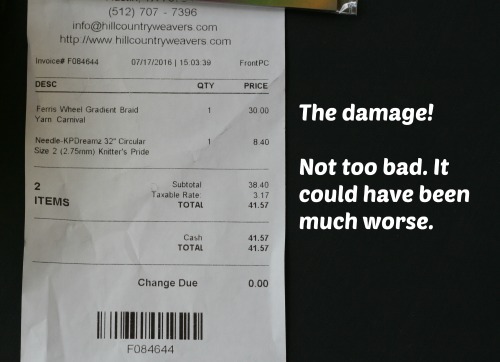 Let’s go to Hill Country Weavers. Its about 10 minutes from my home and (I’ve been told) its the third biggest yarn shop in Texas. By biggest they must mean “sells the most” because its not very big. But it is PACKED with yarn, its very successful, and its been in business for decades. The parking is atrocious. (Any place worth going to in Austin, Texas usually has terrible parking. All part of the local charm.) Everything else about the store is pretty great. I say that in all honesty. I don’t work at this shop; I’ve never worked at this shop. I just live too close to it and go there to get rid of my disposable income. So on this particular trip all I need are size 2 circular (wooden tip) needles. I don’t need yarn. I don’t need roving. I don’t even truly need the needles but I can kind of sort of justify them. Plus I had a really long, tiring week and need a little retail therapy. So let’s go and buy needles! And that’s all. Needles and then we’ll leave, okay? In and out. I promise. So I ended up with more than size 2 needles. Why didn’t you stop me??? And that roving turned out to be Yarn Carnival, made by the local dyer that I mention in the video. I swear I did not plan it that way. But it is so gorgeous I just had to buy it. You understand right? Right. I did pretty good if you think about it. I may have bought roving that I don’t need because I already have 5 bins of roving at home to spin but it could have been much worse. This is a yarn store that comes with a second building for all their marked down, on sale yarn! I’ll have you know that some of that on-sale yarn was Koigu. Some of it was Noro. Some of it was really freaking pretty and how do you feel about going back tomorrow? PS. The Feline Overlord has not been allowed to play with my new roving. Her life is hard. But I did give her the bag. 41 Comments on "Want to go to the Local Yarn Store with me?" What a fun trip with you that was!! Sure wish we had a yarn store like that around here!!! However, I would be broke all the time!! LOL Thanks for taking all of us on your shopping trip!!! You are very welcome, lol. I wish we could have stayed longer, bought more. I’m very lucky to live in such a knitter-friendly city. We ahve 4 yarn stores in town and a dozen more within driving distance. Its hard on the wallet but you can always earn more money right? 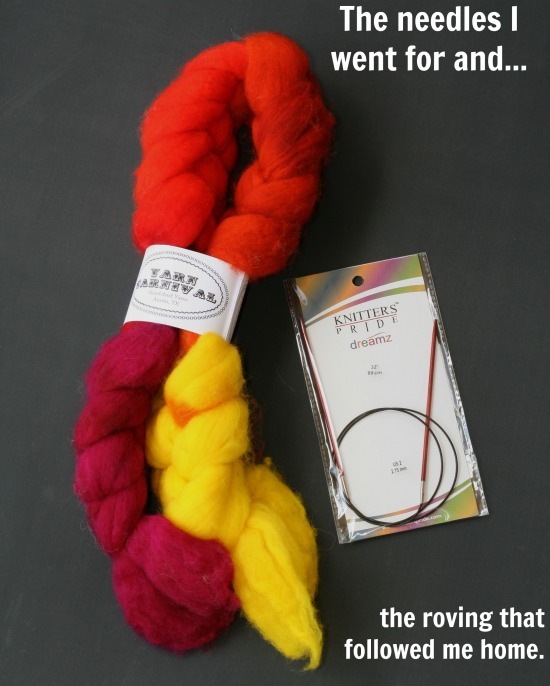 Only 5 bins of roving? I think I’ll just shut up and go back to my wheel bearing my extreme case of guilt. You have much more self control than I do! lol I’d love to accept that compliment but I don’t feel like I have self-control. I feel like i have an addiction and don’t really care. Spin faster. that is the only solution for people like you can me. Buying less is not an option. The only bad part of our trip to the yarn store is I kept reaching out to touch all the pretty but kept bumping into my laptop’s display! The closest LYS to me is 25 miles away…and the next closest…is about an hour. So I really, really enjoyed this trip…but next time “we” go, would you please touch more of the pretty for me??? I sure will. 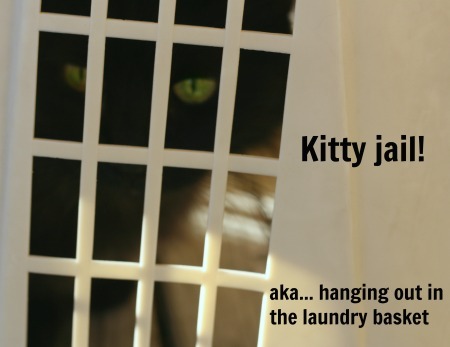 Next time we’ll leave all our money at home (and credit cards) and the we’ll be able to stay and pet all the yarn. Your yarn store is a far cry from a Walmart yarn department! 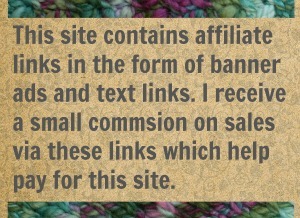 I can’t afford to shop there, so I’m glad I don’t have to have the self-control I’d need in a real yarn store. Lovely stuff. Yarn stores are indeed dangerous places. I treat them like casinos… only bring cash… leave when you are out of the cash. Oh my my you are so lucky to have such a great store so close! How did you get out with only 2 items? If I were that close I wouldn’t be able to afford groceries. As large a city as metro Birmingham is, we have very few great yarn shops. I’m way out in the rural area and it is 25 miles through horrendous traffic to get to my closest one. I love the touchy feely experience. Thanks for the great trip. I want to go again. i so love the way you write and your video captured just what I’d look at if I’d been there! That koigu was pretty nice wasn’t it? I’ve been feeling like I should have bought it. I want to go again too. Austin is knitting country. We have these killer hot summers but tons of yarn shops. We also have big names in knitting: The founders of ravelry live here. So does Vicki Howell of Knitting Daily and Stacy Perry of Very Pink Knits. I don’quite understand why but Austin is heavy on knitters. Shurg. What are your winters like? How cold does it get and do you get snow? We do not get snow. Some years we go all winter and it never falls below freezing. When we do get snow/ice the city shuts down. So no, we don’t get real winters. Thank God.